Fully Loaded Wrestling makes its return to Fargo this Sunday for All Hallows’ Eve. The event, held at the Delta Hotel, will feature eight matches including five championship contests. Fully Loaded Wrestling (FLW), a promotion based in Minot, ND, was recently purchased by Donny Dahl, a self-proclaimed “saint” for FLW. Dahl says he just wants to do what is best for the company by making it as strong as possible and continuing to bring a family-friendly experience to its fans. Unfortunately, Dahl has become entangled in a power struggle with veteran manager Sylvester J. Fox that is set to boil over Sunday. Fox, who is known nationally as a “manager extraordinaire” and by the FLW faithful as, “Sly,” is a tall, slick, smooth-talker who brandishes a golf club and carries himself with a by-any-means-necessary attitude. Dahl says he and Fox have had their share of issues in the past. In fact, he says the rift between the two men has become personal. “Sly has attacked me in my own house,” he says. To make matters worse for Dahl, Fox – the KD Productions Fargo Champion – will be defending his title in the eight-man over the top rope battle royal and managing at least four of his wrestlers in title bouts. Fox and his wrestling stable, known collectively as the “Sly Guys” are looking for gold and power. “There is power in gold,” Fox says, “and we intend to walk away from the Delta Hotel with all of it this Sunday; even if it means giving a few guys a goodnight kiss from the ole 8-Iron.” If Fox and his Sly Guys win each of their bouts at All Hallows’ Eve, and Sly can figure out a way to get one of his guys into the Outlaw Championship hunt, they would hold all the FLW gold. The tension between Dahl and Fox will be an overarching theme throughout the evening, but the action in the ring is sure to get the crowd’s blood pumping. No Limits Champion Tommy Lee Curtis, known as the “Jacked Jesus,” will defend his title against Kara Noia. Noia is looking to become the first female champion in FLW history. Knowing she will have her hands full against Curtis, who will have Fox in his corner, Noia drafted Fargo’s own Mariah Prussia to watch her back. Prussia, an MMA competitor and all-around badass, will certainly be the equalizer Noia needs to keep Fox in check so she can concentrate on Curtis. The Outlaw Championship contest is the only title match that doesn’t feature a Sly Guy. Originally, it was a four-corners match, but one of the competitors backed out and Dahl reclassified it as a triangle match. This didn’t sit well with Fox who feels a Sly Guy should be allowed to fill the fourth slot. “The fans paid for a four-corners match and that is what they deserve,” says Fox, “Donny is power hungry. He would rather cheat the fans than risk a Sly Guy walking away with the strap, but where there’s a will, there’s a way.” What that means isn’t exactly clear, but one can assume Fox has something up his sleeve. The fourth title match will feature tag team action as high-flying Minot natives Bobby Brennan and Jack Ledger take on The Freakmachines – “The Minnesota Wrecker” Josh Price and Riley Jackson for the Tag Team Titles. The challengers will need to keep at least one eye on the floor as Sly Fox will be prowling around, making sure those belts stay secure around The Freakmachines’ waists. The main event of the evening will be for the Fully Loaded Wrestling Heavyweight Championship as current champion “The Canadian Hercules” Tyler Colton takes on Mr. InKredible in a Last Man Standing match. Each man will do what he can to incapacitate his opponent long enough for the referee to count to 10. These two men are said to be among the biggest and strongest in FLW and Colton has Fox in his corner. 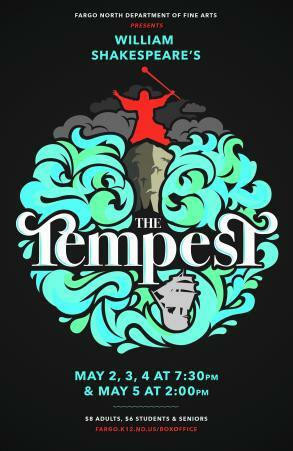 The event will also feature Impact Wrestling star, Eli Drake taking on Arik Cannon, as well as a 50/50 raffle for Haley’s Milk Run, a local charity that provides milk to under-privileged elementary kids. After the show, fans are encouraged to stay and hang out with the wrestlers at Urban 42 Bar inside Delta Hotel. 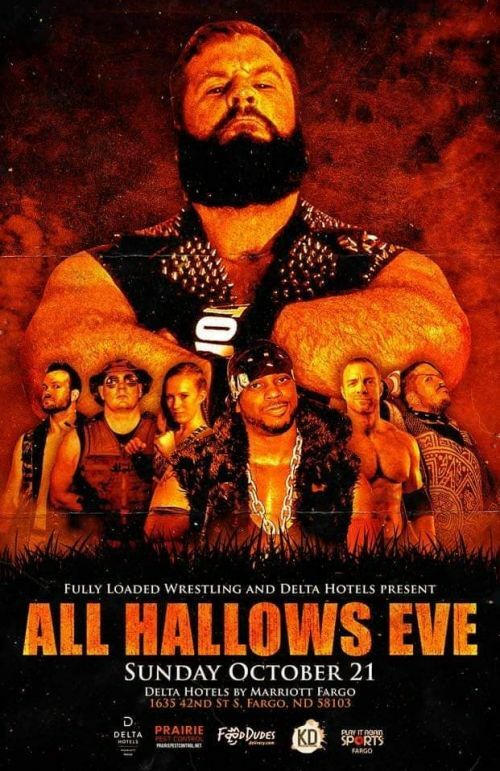 Fully Loaded Wrestling’s All Hallows’ Eve is this Sunday at 6 p.m. Tickets are $10 in advance, or $15 at the door. The doors for this non-stop action event open at 5 p.m. and, as one fan said, “they better leave them open or the pressure inside will wind up blowing the roof off.” For more information, visit Fully Loaded Wrestling’s Facebook page. Sunday, October 21, 6 p.m.